When you have an emergency and need a plumber in Bentonville, don’t hesitate to give us a call! With around the clock service, our team of experts are ready to help when you need it most. We offer fair, upfront pricing so that you never get stuck with a high bill that you were unprepared for. Give us a call today at (479) 316-2674. Have an emergency? You can count on J.C. Plumbing to always provide the quality service you need. Our experienced team is ready to help you with all of your plumbing needs. Whether you need a new sink installed, you have a clogged drain, or your disposal is in need of repairs, we can help get your problem resolved as quickly as possible. As a full service plumbing company serving the local area, we come to your property with a fully stocked truck, ready to get to work! We do our best to get the job done right and in a timely manner so that you can get back to your normal daily routine as soon as possible. In fact, if you have an emergency, don’t hesitate to give us a call. We offer fast, friendly 24/7 plumbing services to help with burst pipes, gas line repairs, or other emergencies. If your plumbing needs emergency service, we’re always here to help. With over 20 years of experience, JC Plumbing has seen and handled all types of issues. We can install, replace or repair just about any type of plumbing system you might have. When it comes to providing exceptional service, you can count on us to deliver top quality results regardless of the job. When one of our highly trained plumbers arrives at your home, they will be able to quickly assess the situation and determine how to best get the problem resolved. Our plumbers will explain to you the options available and give you their expert opinion on whether repairs or replacement would be your best solution. We don’t expect you to be the plumbing expert, so our team will gladly answer any questions. If you’re dealing with a problem such as low water pressure, we know how frustrating this can be. 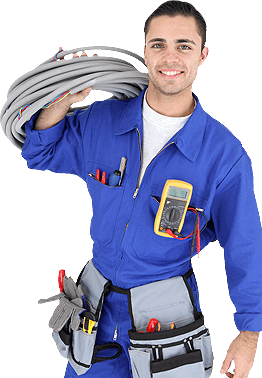 One of our experienced plumbers will evaluate the problem in order to get it fixed in a hurry. Whether it’s low water pressure, a slow running drain or your hot water heater isn’t working, give us a call and let us show you why we are your trusted Bentonville plumbing service.